It’s tuesday! Horaay! It’s been a while since the last time I join this meme. It’s another day of the week where you can meet and gain more friends and followers! This meme is hosted by Survey Junkie, Little Yaya’s, Review Retreat & Boobies,Babies And A Blog. Be sure to stop by and welcome our guest host Amanda at her blog, The Nutritionist Reviews! Following you from FMBT. I hope you can visit me at http://www.thejoyfuljungle.com Thanks! I am your new follower from FMBT. I will appreciate if you follow me back. 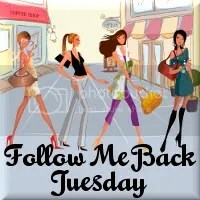 Hi, I am following you from Follow Me Back Tuesday. I hope you have a wonderful day and a happy Thanksgiving!